Need Concrete or Asphalt Paving? We offer free quotes on all of our pavement and maintenance services. 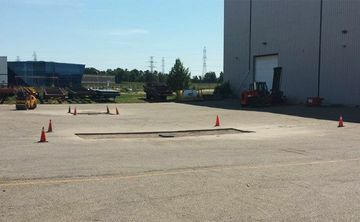 Pro Pavement Services Ltd. has established itself as the leading Hamilton paving and concrete contractor in the area. Every day, we demonstrate an unwavering pursuit of excellence in the execution of quality projects and services — and it shows in our numerous testimonials. 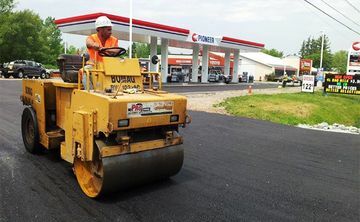 We are dynamic paving contractors who passionately care about our work, resulting in a proven track record of unequaled quality on a wide range of projects since 1978. Why work with just any Hamilton paving or concrete contractor when you could be working with the best? For services in the city, or anywhere in the surrounding areas, call Pro Pavement Services! Driveway paving is quicker and easier when you hire Pro Pavement Services Ltd. Broken concrete is bad for business. We can provide repairs with minimal interruption. We offer new construction, line marking and seal coating to make your project a snap. Our team takes great pride in offering affordable driveway paving and concrete services to homeowners from Hamilton to Mississauga and everywhere in-between. Recognized for our quality workmanship, we create durable driveways out of asphalt, different forms of concrete and interlocking pavers. 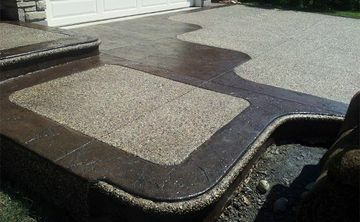 We're also available to perform repairs and restoration if your driveway, patio, walkway, steps or roadway is showing signs of age or weakness. 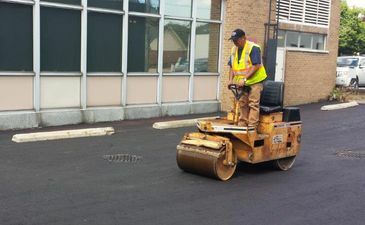 Throughout the years, Pro Pavement Services Ltd. has taken great pride in providing a broad range of commercial and industrial services for retail shops, restaurants, warehouses, factories and more. With a reputation for fast response and excellent workmanship, we provide full facility maintenance, seal coating, line marking, restoration and new construction for all your concrete and asphalt needs. Our staff are committed to providing our customers with available product knowledge and specifications, strength, and the expertise they require to make informed decisions, while maintaining quality and the personal attention their projects deserve. Feel free to call us today with any questions you may have – we look forward to hearing from you.